Edited with text by Nicholas Cullinan. Text by Margo Jefferson, Zadie Smith. Edited by Chiara Costa, Mario Mainetti. Foreword by Miuccia Prada, Patrizio Bertelli, Monica Maggioni, Antonio Campo Dall'Orto. Text by Maria Pia Ammirati, et al. Edited by Emily Butler. Text by Glenn Adamson, Frances Borzello, Nicholas Cullinan, Amelia Jones. Edited by Lynne Cooke, Tommy Simoens. Text by Nicholas Cullinan, Jan Avgikos, Jenevive Nykolak, Nicholas Serota, Donna Wingate. Text by Jack Bankowsky, Thomas E. Crow, Nicholas Cullinan. Conversation with Michael Fried, et al. Edited with introduction by Allan Schwarzman. Text by Joshua Mack, Carolyn Christov-Bakargiev, Nicholas Cullinan, Ming Tiampo. Edited by Karl Buchberg, Nicholas Cullinan, Jodi Hauptman. Text by Samantha Friedman, Flavia Frigeri, Markus Gross, Stephan Lohrengel, Nicholas Serota. Edited by Karl Buchberg, Nicholas Cullinan, Jodi Hauptman. Contributions by Samantha Friedman, Flavia Frigeri, Markus Gross, Stephan Lohrengel. Edited by Alessandro Rabottini. Text by Nicholas Cullinan, Nikola Dietrich, Suzanne Hudson, Alessandro Rabottini, Andrea Viliani. Edited by Cristiana Perrella. Text by Cristiana Perrella, Nicholas Cullinhan, Neville Wakefield, Bruce Hainley. Text by Cheryl Brutvan, Nicholas Cullinan. Edited by David White, Susan Davidson. Text by Nicholas Cullinan. Text by Nicholas Serota, Richard Shiff, Nicolas Cullinan, Tacita Dean. Published by National Portrait Gallery. Since Andy Warhol first used his image in 1982, Michael Jackson has become the most depicted cultural figure in contemporary art. But while his impact on music, music video, dance, choreography and fashion is widely acknowledged, Jackson's considerable influence on contemporary art has remained an untold story. For the first time, Michael Jackson: On the Wall brings together the works of more than 40 artists who have been drawn to Jackson as a subject. 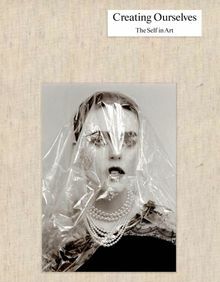 The book is published to accompany a major exhibition at the National Portrait Gallery, London, and explores new avenues for thinking about art and identity, encourages new dialogues between artists and invites audiences interested in popular culture and music to engage with contemporary art. Selected from both public and private collections and including pieces specially commissioned for the exhibition, the works range from painting to sculpture and from photography to installation. The international selection of artists spans several generations and includes Rita Ackerman, Dara Birnbaum, Mark Flood, Isa Genzken, Maggi Hambling, Gary Hume, David LaChapelle, Glenn Ligon, Dawn Mellor, Catherine Opie, Grayson Perry, Donald Urquhart, Kehinde Wiley and Andy Warhol, among many others. With essays by Nicholas Cullinan, Margo Jefferson and Zadie Smith, the catalog not only asks why so many contemporary artists have been drawn to Jackson as a subject, but also why he continues to loom so large in our collective cultural imagination. 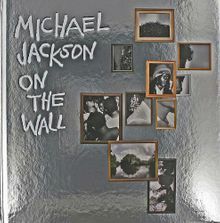 Michael Jackson: On the Wall is produced with the cooperation of the Michael Jackson Estate. Hardcover, 10.75 x 11 in. / 252 pgs / 120 color. Accompanying a yearlong display of the London-based ISelf Collection, this publication examines individual identity, the body and the human condition from the perspectives of 20 artists. Flexi, 8.25 x 10.75 in. / 224 pgs / 120 color. 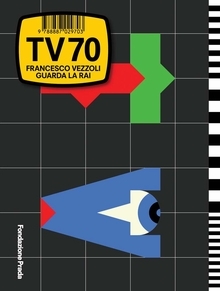 TV 70 is a project by artist Francesco Vezzoli (born 1971) developed in collaboration with Rai, Italy’s national broadcasting company. With archival material and testimonials, it explores 1970s TV production. Slip, hbk, 5 x 7 in. / 764 pgs / 100 color / 10 bw. 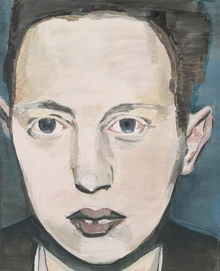 Belgian painter Luc Tuymans (born 1958), one of the key figures in the 1990s revival of figurative painting, is also one of contemporary art’s great history painters, tackling historical traumas and their representations in a restrained—though resolutely painterly—style and pale, muted palette. Far from accepting painting as obsolete or inadequate, throughout his career Tuymans has used painting to engage with the most painful, urgent subjects of the past and present, from the aftermath of the Second World War and Belgium’s colonial past to the War on Terror. "I still indulge in the perversity of painting," said Tuymans, "which remains interesting." Luc Tuymans: Intolerance, published to accompany a major retrospective at the Qatar Museums in Doha (the artist’s first show in the Gulf region), surveys Tuymans’ work from the past 25 years. Comprehensive and richly illustrated, it contains more than 800 reproductions: studies, archival material and installation photographs, as well as 60 drawings and 100 paintings (including Tuymans’ new body of work, The Arena, created for the exhibition). Also included are texts by Jan Avgikos, Nicholas Cullinan, Jenevive Nykolak, Nicholas Serota and exhibition curator Lynne Cooke, offering new insights into Tuymans’ oeuvre from the past three decades. Hardcover, 9.5 x 11.5 in. / 464 pgs / 300 color. In the late 70s the consistently figural and empathetic representations of everyday subjects by Katharina Fritsch (born 1960), Jeff Koons (born 1955) and Charles Ray (born 1953) attracted a great deal of attention. 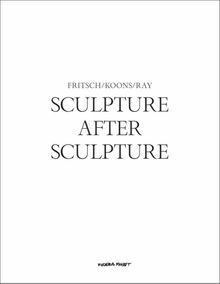 This publication traces the parallel developments in the three sculptors' work. Hardcover, 8.5 x 11 in. / 140 pgs / 83 color. In the decades following World War II, both Japan and Italy were rebuilding after the ravages of war, constructing democratic political systems after a period of fascism. Parallel Views presents a breadth of postwar masters of Italian and Japanese art. The 145 artworks reproduced here include works by the Italian proto-Arte Povera and Arte Povera artists Alighiero Boetti, Alberto Burri, Lucio Fontana, Piero Manzoni, Mario Merz, Marisa Merz, Giulio Paolini, Giuseppe Penone, Michelangelo Pistoletto and Mimmo Rotella. Central figures in the Gutai movement—Matsutani Takesada, Saburo Murakami, Shimamoto Shozo, Shiraga Kazuo—are represented, as are important Mono-ha artists, including Lee Ufan, Sekine Nobuo, Suga Kishio and Takematsu Jiro, among others. This volume gives readers a unique opportunity to view works that have rarely been shown or considered together but in fact share common themes and concerns. As essayist Joshua Mack states, "modernism was not a process extending a dominant model from Paris or New York to outlying countries, like Japan or Italy, but rather a process of exchange between interlinked nodes. Its dynamic is a process of creative interpretation in which concepts originating in one context were understood differently in another." A panel discussion among three leading scholars of this period in Italian and Japanese art further examines the connections and simultaneities between the art and artists of this period. 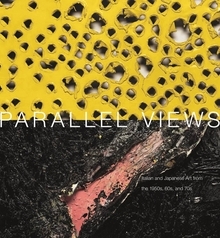 Parallel Views invites readers to explore a body of artworks that have been overlooked until recently but warrant renewed attention. Clth, 11 x 12 in. / 408 pgs / 240 color. Published in conjunction with the most comprehensive exhibition ever devoted to Henri Matisse’s paper cut-outs, made from the early 1940s until the artist’s death in 1954, this publication presents approximately 150 works in a groundbreaking reassessment of Matisse’s colorful and innovative final chapter. The result of research conducted on two fronts--conservation and curatorial--the catalogue offers a reconsideration of the cut-outs by exploring a host of technical and conceptual issues: the artist’s methods and materials and the role and function of the works in his practice; their economy of means and exploitation of decorative strategies; their environmental aspects; and their double lives, first as contingent and mutable in the studio and ultimately made permanent, a transformation accomplished via mounting and framing. Richly illustrated to present the cut-outs in all of their vibrancy and luminosity, the book includes an introduction and a conservation essay that consider the cut-outs from new theoretical and technical perspectives, and five thematic essays, each focusing on a different moment in the development of the cut-out practice, that provide a chronicle of this radical medium’s unfolding, and period photographs that show the works in process in Matisse’s studio. One of modern art’s towering figures, Henri Matisse (1869–1954) was a painter, draftsman, sculptor and printmaker before turning to paper cut-outs in the 1940s. From the clashing hues of his Fauvist works made in the South of France in 1904–05, to the harmonies of his Nice interiors from the 1920s, to this brilliant final chapter, Matisse followed a career-long path that he described as "construction by means of color." Karl Buchberg is Senior Conservator at The Museum of Modern Art. Nicholas Cullinan is Director of the National Portrait Gallery in London. Jodi Hauptman is a Senior Curator at The Museum of Modern Art. Samantha Friedman is an assistant curator of the Department of Drawings and Prints at The Museum of Modern Art. Flavia Frigeri is an assistant curator at Tate Modern in London; she is the organizing curator for Tate’s Young Patrons. Nicholas Serota is director of Tate Modern's art museums and galleries. Hardcover, 9 x 10.5 in. / 302 pgs / 250 color. 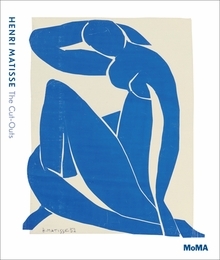 Published in conjunction with the most comprehensive exhibition ever devoted to the paper cut-outs Henri Matisse made from the early 1940s until his death in 1954, this paperback edition presents approximately 150 works in a groundbreaking reassessment of the artist's colorful and innovative final chapter. The result of new research by conservators and curators, the catalogue explores a host of technical and conceptual issues: the artist's methods and materials and the role and function of the works in his practice; their economy of means and exploitation of decorative strategies; their environmental aspects; and their double lives, first as contingent and mutable in the studio and ultimately made permanent, a transformation accomplished by mounting and framing. Richly illustrated to present the cut-outs in all of their vibrancy and luminosity, the book includes an introduction and a conservation essay that consider the cut-outs from new theoretical and technical perspectives, and five thematic essays, each focusing on a different moment in the development of the cut-out practice, that provide a chronicle of this radical medium's unfolding. Period photographs show the works in progress in Matisse's studio. One of modern art's towering figures, Henri Matisse (1869-1954) was a painter, draftsman, sculptor and printmaker before turning to paper cut-outs in the 1940s. From the clashing hues of his Fauvist works, made in the South of France in 1904-5, to the harmonies of his Nice interiors from the 1920s to this brilliant final chapter, Matisse's career followed a path that he described as "construction by means of color." Jodi Hauptman is a Curator in the Department of Drawings & Prints at The Museum of Modern Art, New York. Karl Buchberg is a Senior Conservator at The Museum of Modern Art, New York. Samantha Friedman is an Assistant Curator in the Department of Drawings & Prints at MoMA. Nicholas Cullinan is the Curator of Modern and Contemporary Art at the Metropolitan Museum of Art. Paperback, 9 x 10.5 in. / 300 pgs / 314 color. Although world-famous for his paintings and sculptures, Cy Twombly (1928–2011) was also a photographer, and his practice of photographing interiors, the sea and still lifes, as well as his paintings and sculptures, spanned the duration of his 60-year career. This massive two-volume catalogue gathers this lesser-known aspect of the artist’s output, contextualizing it through an exhibition that Twombly himself curated at the Collection Lambert in Avignon. His selection of works was both original and revealing: Jacques Henri Lartigue’s albums, the marine horizons of Hiroshi Sugimoto, the serial photographs of Ed Ruscha and Sol Lewitt, and the portraits of Diane Arbus and his close friend Sally Mann. 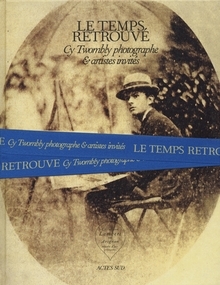 With this publication, Twombly also draws a direct lineage between himself and earlier photographer-artists such as Édouard Vuillard and Edgar Degas (a lineage that provides this catalogue's Proustian subtitle). The two volumes are held together with a blue printed ribbon. Hardcover, 2 vols. 8.75 x 11 in. / 284 pgs / 230 color. In the early 1980s, the artist Tim Rollins initiated a curriculum for high schoolers in the South Bronx to engage their creativity with art and literature activities, embarking on what proved to be an enduring collaborative venture. The initial group of students--who dubbed themselves the K.O.S., or Kids of Survival--made art by drawing and painting on books, while others read a novel out loud (anything from Mark Twain’s The Adventures of Huckleberry Finn to Franz Kafka’s Amerika). 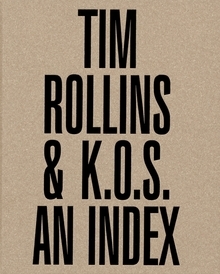 Perhaps unusually for such a venture, the painted book works that arose from this collaboration entered the art mainstream, and Rollins and K.O.S. have since participated in Documenta, the Venice Biennale, two Whitney Biennials and numerous other museum shows. Published on the occasion of a major touring exhibition in Europe, and examining each book work individually, this volume gathers the entirety of the group’s output. Hardcover, 6.75 x 9.25 in. / 224 pgs / 150 color. Published by Norton Museum of Art. Recognized as an exceptional talent in the early 1990s, when she was just in her early 20s, British painter Jenny Saville (born 1970) has continued to renew and subvert the legacy of such masters as Rembrandt, de Kooning and Freud, with sometimes controversial interpretations of the human figure--primarily the female body--that expertly mingle the textures of paint and flesh. This volume, accompanying the first U.S. survey of the artist, includes already classic early paintings such as “Propped” (1992) alongside studies and more recent paintings and drawings on the theme of the mother and child. Saville’s brushwork reveals an increased dynamism and looser gesture. Extended critical commentary by Cheryl Brutvan and Nicholas Cullinan discuss Saville’s feminism and treatments of flesh throughout art history. 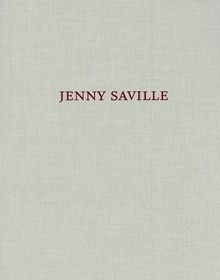 Despite Saville’s fame, there have been few opportunities to view her mature work, a lacuna this volume happily corrects. Clth, 8 x 10 in. / 100 pgs / 27 color. Robert Rauschenberg's engagement with photography began in the late 1940s under the tutelage of Hazel Larsen Archer at Black Mountain College in North Carolina. This exposure (or experience) was so great that for a time Rauschenberg was unsure whether to pursue painting or photography as a career. Instead, he chose both, and found ways to fold photography into his Combines, maintained a practice of photographing friends and family, documented the evolution of artworks and occasionally dramatized them by inserting himself into the picture frame. As Walter Hopps wrote, "The use of photography has long been an essential device for Rauschenberg's melding of imagery... [and] a vital means for Rauschenberg's aesthetic investigations of how humans perceive, select and combine visual information. Without photography, much of Rauschenberg's oeuvre would scarcely exist." The artist himself affirmed, "I've never stopped being a photographer." 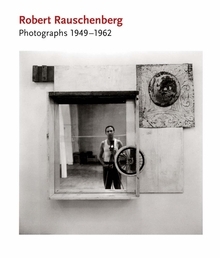 This volume gathers and surveys for the first time Rauschenberg's numerous uses of photography. This publication includes portraits of friends such as Cy Twombly, Jasper Johns, Merce Cunningham and John Cage, studio shots, photographs used in the Combines and Silkscreen paintings, photographs of lost artworks and works in process. This allows us to re-imagine almost the entirety of the artist's output in light of his always inventive uses of photography, while also supplying previously unseen glimpses into his social milieu of the 1950s and early 60s. Painter, sculptor, printmaker and photographer Robert Rauschenberg (1925-2008) provided a crucial bridge between Abstract Expressionism and Pop art. After studying at Black Mountain College under Josef Albers, Rauschenberg moved to New York where he formed close allegiances with Jasper Johns and Cy Twombly, began his groundbreaking Combines, collaborated with the Merce Cunningham Dance Company and co-launched the non-profit Experiments in Art and Technology. Considered one of the most innovative artists of his era, he died in 2008. Hardcover, 9.5 x 11 in. / 232 pgs / 136 duotone / 31 color. 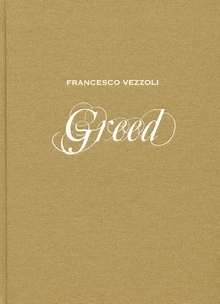 Borrowing the strategy of a commercial perfume launch, Francesco Vezzoli (born 1971) created a signature perfume called “Greed” and commissioned Roman Polanski to direct a 60-second commercial starring Natalie Portman and Michelle Williams. A series of needlework portraits of women in art history--Tamara de Lempicka, Eva Hesse, Leonor Fini--presented them as endorsers of the perfume. Hardcover, 8 x 11 in. / 96 pgs / 61 color. 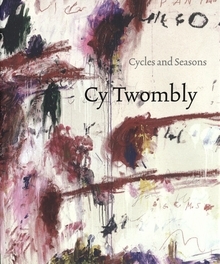 A serious comprehensive overview of Cy Twombly's art has been much in demand for many years, and in this publication we at last have one. Accompanying a major touring retrospective to mark Twombly's eightieth year, it surveys a vast output of paintings, drawings and sculpture by an artist whose indifference to supposed distinctions between Pop and abstraction, between writing, drawing and painting, and between literature and art had, for many years, brought his work severe neglect. Twombly's art upsets the prudish purist with its hybridism; as he declares, "I'm not a pure; I'm not an abstractionist completely. There has to be a history behind the thought." For Twombly, this history entails a wealth of literary and mythic allusion and an openness to all kinds of forms. Alongside contributions from Richard Shiff, Nicolas Cullinan and Tacita Dean, this essential volume also presents a rare and revealing interview with the artist by Nicholas Serota, an illustrated chronology, an exhibition history and an extensive biography. It will be the most thorough examination of the life and work of this extraordinary artist for years to come. Cy Twombly is a leading figure in a heterogeneous generation of American artists that also includes Andy Warhol, Robert Rauschenberg and Jasper Johns. Unlike these others, he left America early in his career to live and work in Italy, where he has drawn inspiration from European literature, classical culture and the Italian landscape. Hardback, 9.75 x 11.5 in. / 256 pgs / 4 gatefolds / 154 color / 20 bw.